What a clever way to fund raise to go on a mission trip. Eight Volunteers from Christ the King in Memphis, TN will be traveling to Tanzania, Africa in May of 2016 to spread the gospel. 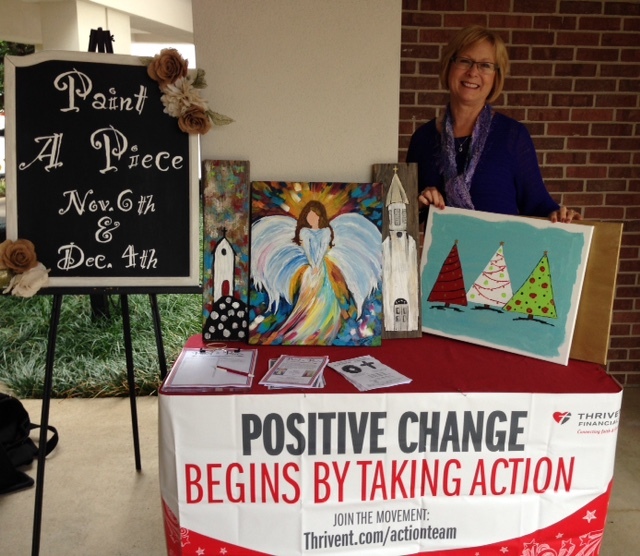 These members held a Thrivent Action Team fundraiser to raise money to help send them to Shinyanga, Tanzania. The seed money from Thrivent helped the team purchase art supplies, for example, paint, art brushes, canvas’ and food to sponsor a “Painting a Piece” party on November 6th. Both Christ the King Church and School helped advertise the event to our church members, friends and school parents. 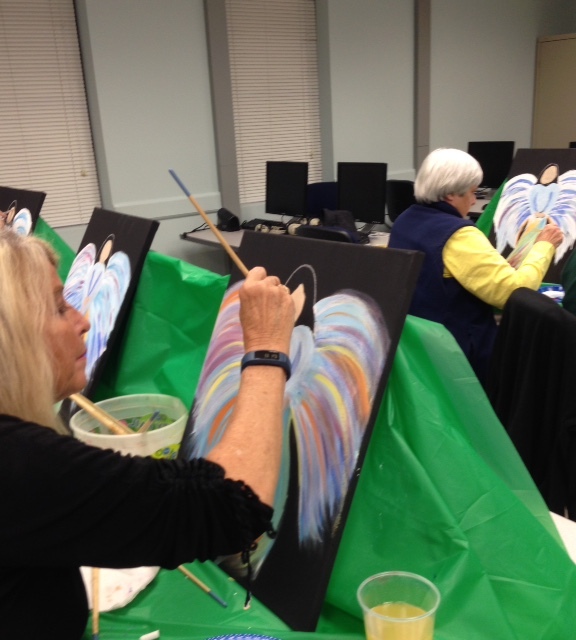 Sharon Hyde, a 2014 and 2016 Tanzania Mission member helped along with our school Art Teacher, Felicia Calhoun to instruct the participants how to paint each piece. Mike and Cindy went to their local lumber landfill to pick out and cut old boards to paint the churches on the boards.The fellowship and fun was enjoyed so much that the Tanzania team is sponsoring another “Painting a Piece” party on December 4th. The fundraiser will benefit the missionaries’ expenses for their outreach ministry in the Shinyanga area.